The year was 1987. Rudy Zamora Jr. was working with Murakami-Wolf-Swenson (later called Fred Wolf Films) on an exciting new project. He called to offer Chuck Lorre (yes, that Chuck Lorre) a job writing a 5-episode mini-series pilot for an animated show based on Kevin Eastman and Peter Laird's comic book characters, The Teenage Mutant Ninja Turtles. Lorre said no, and went on to write some other shows. He passed the job along to David Wise, who had just finished writing the series finale of the the original Transformers animated series. Wise joined the project and had a transformative impact on the life and direction of the franchise. Wise's work on the characters and storylines combined the dark, gritty, abstract world of the original comics with the action-packed, comedic family fun of cartoons in the late 80's. You see in the original comics, the turtle characters were much more dark, mysterious and abstract. Wise gave them personalities, identities, and made them who they are today1. Read here for if you're curious to learn more about how the 1987 cartoon came to be. The show ended up being incredibly successful and ran for 10 seasons with a total of 193 episodes between 1987 and 1996. Fast forward to March of 1990 and the Turtles craze had finally reached it's peak. We were about to see our favorite heroes in a half shell on the big screen. Jim Henson's Creature Shop created some incredible animatronics-enabled suits that allowed the Turtles to come to life in a live, IRL, all-practical-effects action/adventure cinema classic. There were so many things this movie got right in regards to the tone and characters themselves. Much like Wise's original 5-episode miniseries, it showed off all 4 main aspects of our heroes: The Teenage, Mutant, Ninja and Turtle sides of them. We got action, angst, wisdom, and fun interwoven into a storyline that told our character's backstory in such a way that made the characters feel important while being careful not to tie things too neatly into a bow. That was 24 years ago. You likely know where I'm going with this. Unfortunately, it seems that in this case, history doesn't rhyme. This movie somehow managed to do just about every single thing wrong. Before we go any further, I'd like to say for any of you who haven't seen this movie (and still plan to) that I'll be wildly spoiling the entire thing as there's really no way to talk in-depth about it without doing so. If that's not your thing, bail out now and thanks for reading. Ok seriously, last warning, I'm about to describe a lot of what happens in the movie. April spends a lot of time at the lab and essentially both names and cares for all four turtles and Splinter since they are some of the test subjects for the mutagen. In the flashback scenes where we learn this story, the turtle's tiny baby shells are literally color coded with stickers. It's a super handy coincidence that they ended up choosing to wear bandanas of those same colors later on in life or that flashback scene might have been super confusing. In another random backstory change-up Splinter doesn't name the turtles, April does. She uses the theme of the genetics project, called the Renaissance project. Ugh. Anyways, the lab burns down, and April inexplicably risks her life to rescue the Turtles and Splinter (all still in pre-mutated forms) and releases them into the sewer. Then both April and the Turtles grow up separately from each other and April apparently forgets them entirely. Seriously, can anyone explain what happened there? All this insane stuff happens to her as a kid, she names these 4 turtles in her dad's *genetics* lab then when she grows up and meets 4 giant walking turtles that refer to each other with the same names she gave the turtles as a kid she has to keep repeating their names so she won't forget them and not recognize them again when she hears them on old handicam footage?! Wow April must have terrible short term and long term memory. Anyways that's it. That's the whole story basically. Oh yeah, somehow Splinter teaches himself (and the turtles) ninjutsu from a bunch of silhouette poses in an undamaged book that someone threw into the sewer. Splinter's tail also now has the ability to go all Mr. Fantastic and shoot out and grab people and whip them around. I wish I was kidding. There's no mention of Oroku Saki or Hamato Yoshi or anything from Japan at all except for a vague story about a plague. Yep, the "rebooted" Ninja Turtles eliminates the characters of Oroku Saki and Hamato Yoshi. Of course, the Shredder in the movie may actually be Oroku Saki. The audience however has no way knowing because it's never explained. The Shredder is just magically there, because of reasons, and loves to shoot magnetic knives out of his new Optimus Prime mark-3 Stark Industries armor suit. It seems that initially Eric Sachs' character was going to actually be The Shredder, but then they went back and did some reshoots and came out with the storyline that was released in theaters. The Shredder is first seen without his armor and has a scarred face. Why is his face scarred? Who is he? Your guess is as good as mine I suppose. There's a small chance that they decided (albeit halfway through production) to (very loosely) base their story on the IDW comics releases. In this storyline Splinter and the Turtles are re-incarnated as a rat and four turtles after being killed by Oroku Saki. Unfortunately, if this is in fact the case they didn't even do justice or stay true to that storyline. Interestingly enough, Karai makes an appearance, but nothing about her more than her name is explored, she's just another personality-less foot member. The biggest scene for her character involves the Shredder telling her to use "innocent people" as bait. I love that this version of the Shredder is merciful enough to consider some people "innocent". What a great trait for a villain. It's great that he explains himself so thoroughly and directly just in case we weren't sure what his instructions were. Speaking of the Foot Clan, in this movie they are not ninjas. Yep, all the ancient lore and mystery around them is gone. The most we get is that they "will rise again". Now they just wear masks from the Dollar Store and carry automatic assault rifles. They're not the only ones who've gotten an equipment upgrade though. In the 1990 movie, the Turtles watch April on a half-broken black and white TV set, after saving her from the thugs robbing her van. It's implied that most of what they have in their home in the sewer has been scavenged or recovered from garbage. Well I guess the economy must be booming in New York, because people seem to be throwing millions of dollars of brand-new electronic equipment right down into the sewers. The Turtles have tons of flat screens, advanced security and surveillance systems, computer hardware, and Iron Man-style heads up displays that make sure they can be the best ninja crimefighters who's dad won't let them go out and fight crime. It is never explained, not even with a throw-away piece of dialogue or set piece, how our heroes acquired any of their cool toys or their weapons. At least in the original movies, it was obvious that the Turtles weren't exactly well-off. It was a much more humanizing and believable environment rather than some kind of super-extreme command center. Splinter won't let them go above ground, but somehow he's totally cool with all of this black-ops military hardware just hanging out in the lair. Maybe he thinks it's all video games or something. I could spend all day naming off all the things they got wrong, so let's move on. 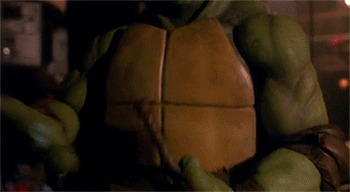 At one point in the movie, we get to see a bit of the Turtles' upbringing. We see them having fun, and generally being kids. Unfortunately, this is one of the best moments in the whole movie. 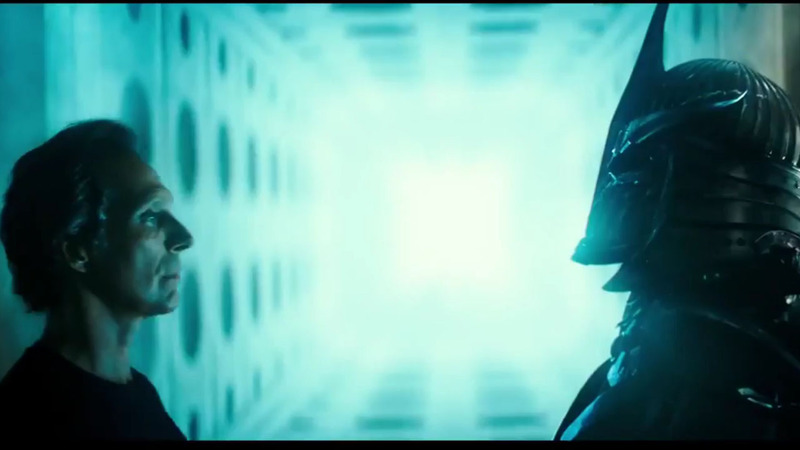 They should have made the entire movie like they made this one sequence. The characters in that Flashback, those were the real Teenage Mutant Ninja Turtles. The rest of the movie might as well have been called TMNT: The College Years. The Turtles are freaking terrifying in this movie. For many scenes they aren't even friendly. They look like rejected concept art for a Dr. Jekyll/Mr. Hyde or The Incredible Hulk reboot. 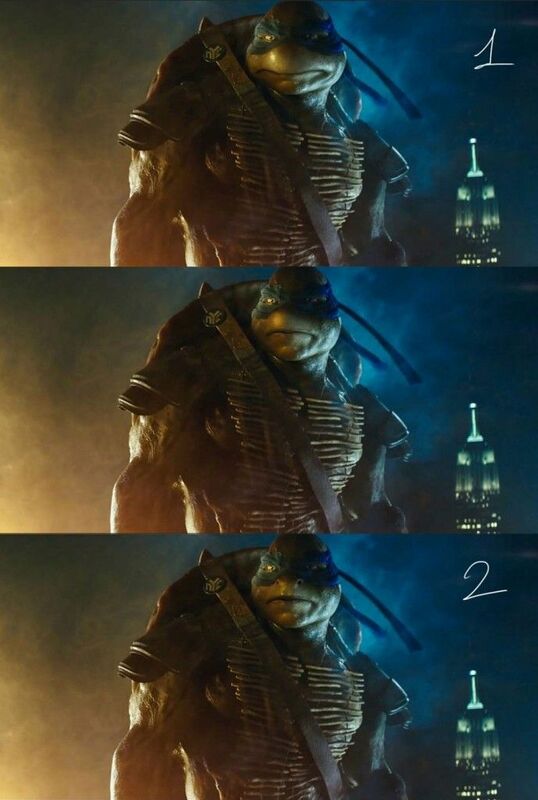 When the look of these new Turtles was first revealed, some reddit users took to Photoshop to show how they could have been sufficiently modernized without looking so awful. As you can see, the nostrils are gone and Mikey has a proper turtle beak. I can't help but think that design-by-committee killed this movie. You can see it in everything from the costumes, to the voices, and especially the whole "turtles are aliens" fiasco. 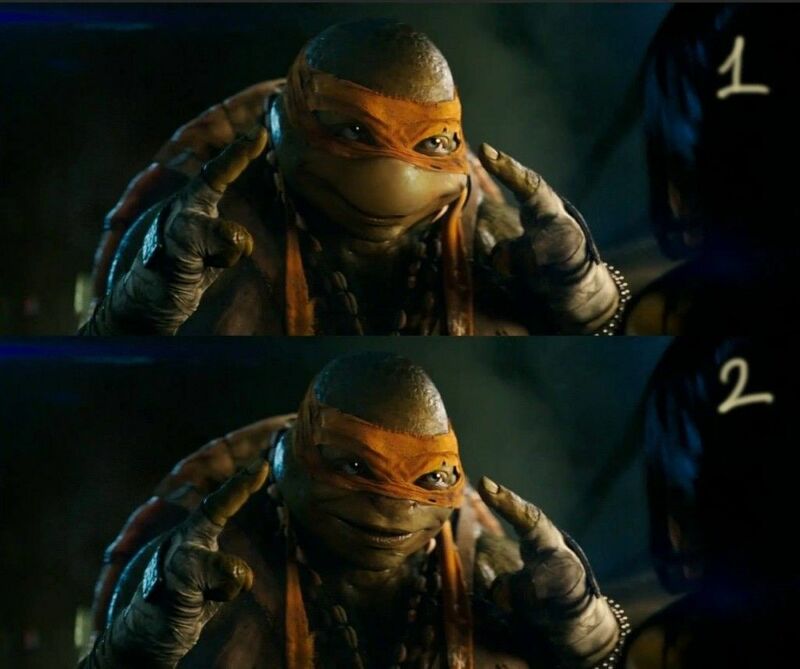 Here's another fan-made correction of Leo. The top is what it would like if they stayed very true to the 1990 designs, the middle is a nice modernized version of the 1990 look, and the bottom is the hideous monstrosity they ended up going with. Lastly, for some reason, all of the turtles sound like Batman. So much so that they even hang a lantern on it in the dialogue. The only one who has any personality or fun to him at all is Mikey. 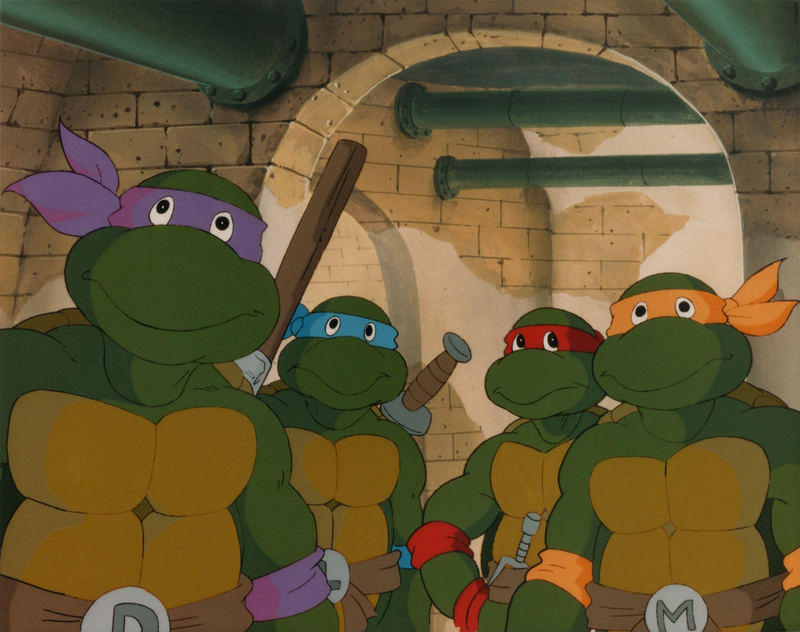 It seems like they chose to just give all of the jokes to Mikey, and let the other 3 turtles just kind of stand around and look ugly. The word "plot" is used very loosely here. Where do I begin? Geographically: What a nice drive you'll have from sunny Manhattan to the snow-covered mountain peaks just 20 minutes north of you. Physically: It's great that Donatello is so good at science, otherwise he'd never have known how to use a stick to flip a 10 ton armored vehicle 30 feet into the air. Logically: It's a good thing chemicals are so interchangeable, because it would have taken April's dad twice as long to get tricked into researching and developing two separate chemicals to 1.) the cure the ancient skin-poison and 2.) mutate animals into giant walking, talking versions of themselves. Isn't modern science incredible? I think my biggest issue with this movie is how "on the nose" everything was. There were no inferences to be found. Every single character spoke their subtext out loud. There was no single point where I felt like I could become connected to any of the characters because they were all too busy telling me how I'm supposed to feel about them. I saved this one for last because it's the worst offense of all. 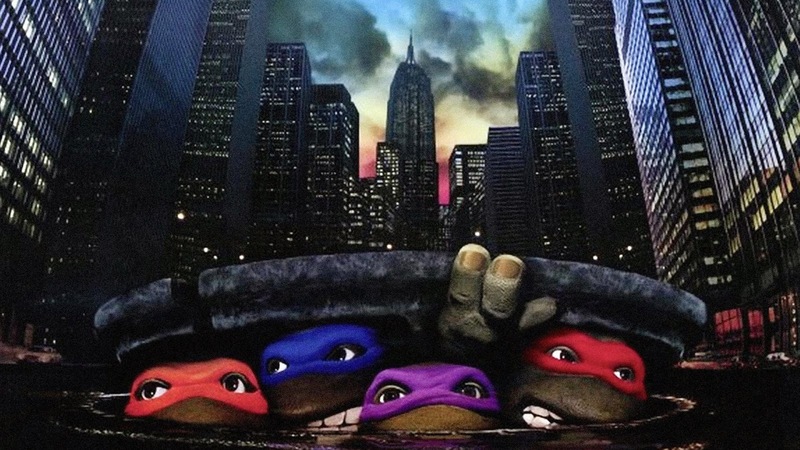 The film essentially apologizes for using the phrase "Cowabunga!". It degrades the word to a level of childish-nostalgia for the Turtles. Mikey "used to say it when they were kids". I can't imagine how far in the wrong direction the writer's room must have gone for that to end up in the final script. It's such an insult to anyone holding out any remote hope of this being a good version of the story and going to see this movie. Unfortunately, it seems that this movie did well enough in it's opening weekend that Paramount Pictures has announced they're already working on a sequel, and yes many of the same people are returning to work on it. It'll be out in June of 2016.